Growing up in Saddam Hussein's Iraq, a young Kurdish boy named Kerim has ample opportunity to witness the murderous repression that defined the era for thousands of Iraqis. 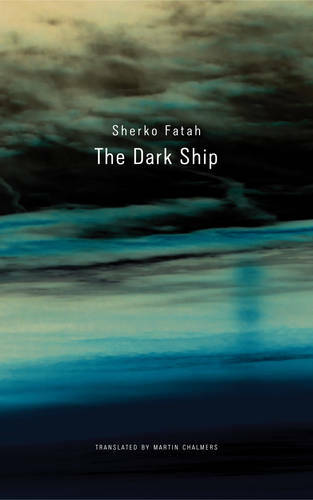 In Sherko Fatah's The Dark Ship, we experience an extraordinary new voice in fiction, which tells the story of the kind of trauma and striving that leads a man from religious extremism to a vain hope for redemption. We follow Kerim from the fading memories of his childhood to his life running his family's roadside restaurant. Captured by jihadists, he reluctantly joins the group, and grows fascinated with their charismatic leader. After a narrow escape from martyrdom and a difficult passage to Europe, Kerim, tormented by memories of his violent past, is unable to find his place in his new country. Turning yet again to his faith, he finds solace in the fundamentalist mosques of his new city. But it isn't long before he learns once again that he cannot escape his history, his culture, or his own doubts. At once a thriller and a political narrative, The Dark Ship tracks the Kurdish experience from the war-torn mountains of northern Iraq to the bureaucracies and mosques of Berlin in a gripping journey across land and water, through ideology and faith.